Years ago, shortly after I started in this business full time, I brought a suggestion to my father who still has a large say in what we do with our specials. My idea was to grill romaine lettuce. I don't know where I had seen the idea, but I thought it was very interesting. A few days later I tried for myself before I brought the idea into work, and it turned out to be phenomenal (if I do say so myself). But the look he gave me when I presented my idea, I will never forget. Something I was so proud of... he looked at me like I had five eyes. I then thought my good idea wasn't such a good idea. As it would turn out, just a few weeks would go by and my father and chef Chris decided to toy with my idea, grill some lettuce of their own and tweak just a few ingredients. The end result was something both were very happy with, and so began our experience with grilled lettuce salads. 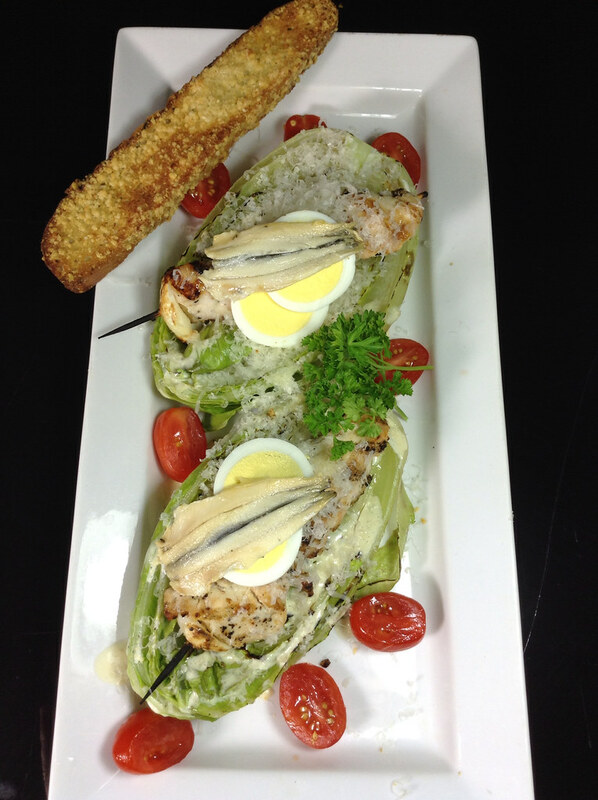 On our menu currently are grilled baby romaine hearts with hard boiled egg, grape tomato, white anchovy, and parmesan cheese. It is topped with grilled chicken and whole garlic skewers along with baked focaccia toasts. Don't be afraid to try this grilled salad. It truly is a delicious change of pace. And if you don't like it, well you can blame me this time.